Out May 7th! Pre-order from Amazon here! I have such mixed emotions writing this review. I keep wavering between 3 stars and 4 stars and finding it really difficult to land on a rating. Even 3.5 stars doesn't feel quite right. The first 80% of this book was a solid 4 stars. It had the makings and potential of a show stopper, with a really unique concept. The idea of women being hired as surrogates and living together contractually at a remote establishment was something completely original. The women bond together over their experiences, their fears, their excitement, their frustration with the facility. And the story was written with what felt like this sinister underlying tone, which left me as the reader waiting for some crazy twist or reveal. Unfortunately, the weird and suspicious stuff that the author alluded to didn't end up coming to fruition and the story took a completely different turn than what I was expecting. This was where things started to unravel and I didn't end up loving the ending. I felt like there were lots of questions left unanswered and the epilogue tried to tie everything together with a neat bow, but it ended up feeling forced and unrealistic in my opinion. And at that point, it started feeling more like a 3 star read for me. So overall, I really loved the concept and enjoyed the main characters. I appreciated the multiple perspectives, and thought that format worked for this type of story. And there was so many great things happening and so much potential. But when all was said and done, it kind of flopped in the end. I would still recommend this to many women. Joanne Ramos hits on some interesting content surrounding race and class which was thought provoking. And the topic of surrogacy... where the line is drawn between a surrogate making decisions that affect their body versus the client making decisions that affect their growing fetus... lots to consider here as well. I would read Joanne Ramos's work in the future. 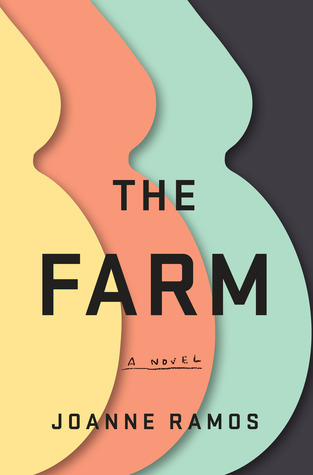 Sign into Goodreads to see if any of your friends have read The Farm.